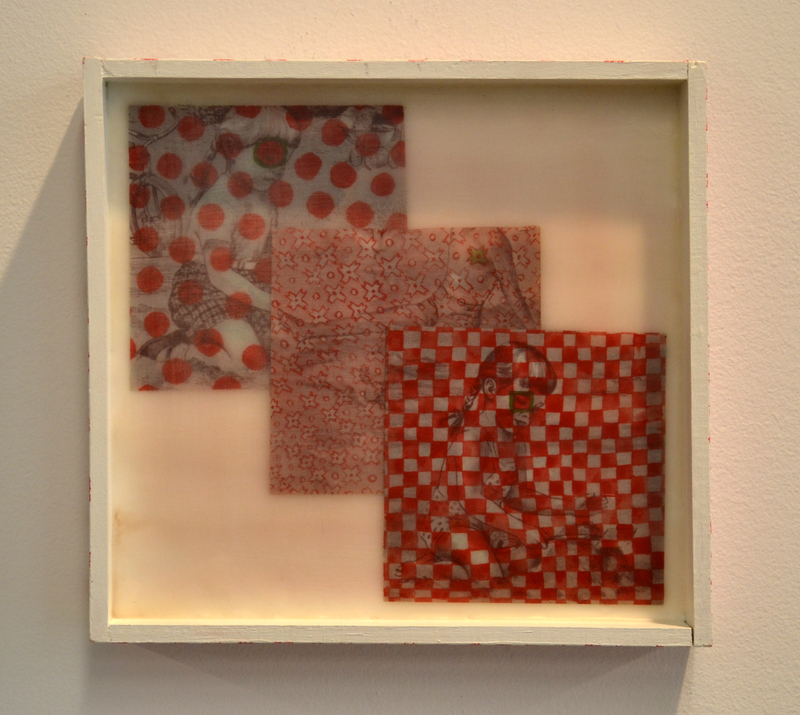 A few pieces from the series Decomposition; all cells break down, exploring memory and entropy. 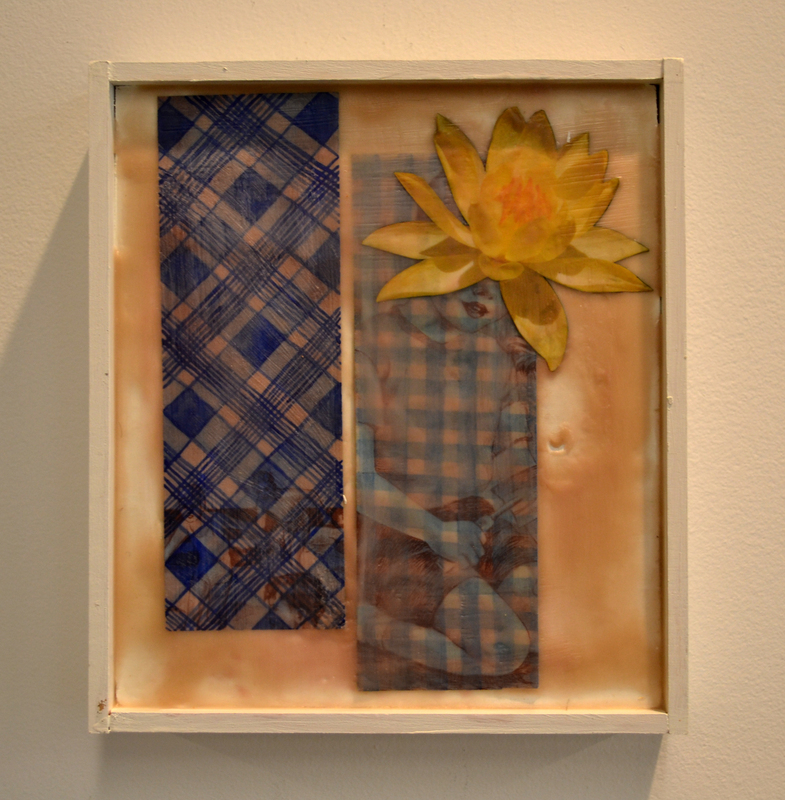 The fruits of last week’s encaustics session. I’m getting to an age where childhood still feels fresh and vivid, but enough time has passed that the specifics have become blurred, the edges softened and stories blended. 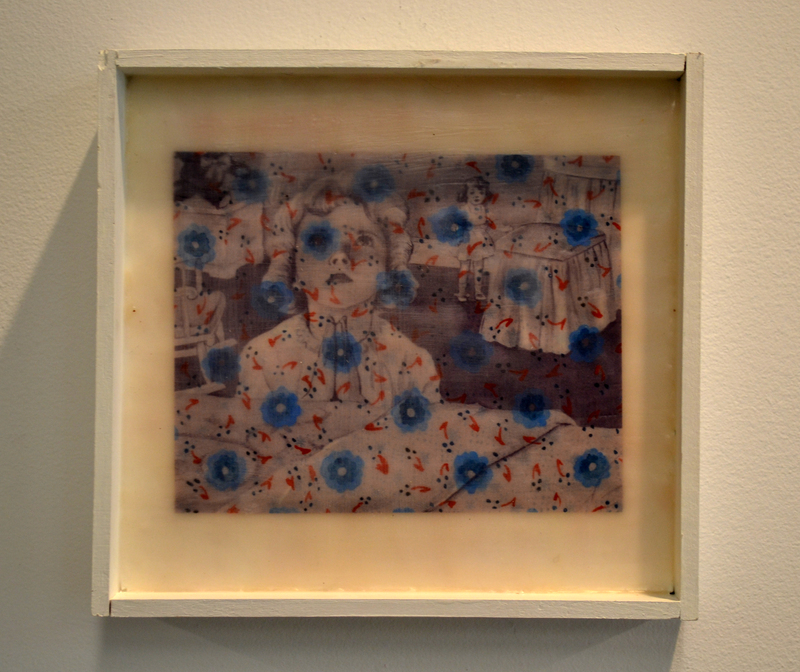 ‘Lamentations of a Late Bloomer” is part of a larger series attempting to catch hold of these specific feelings. Each found image is hidden under a layer of pattern, taken from a quilt that is also starting to grow thin from time and use. 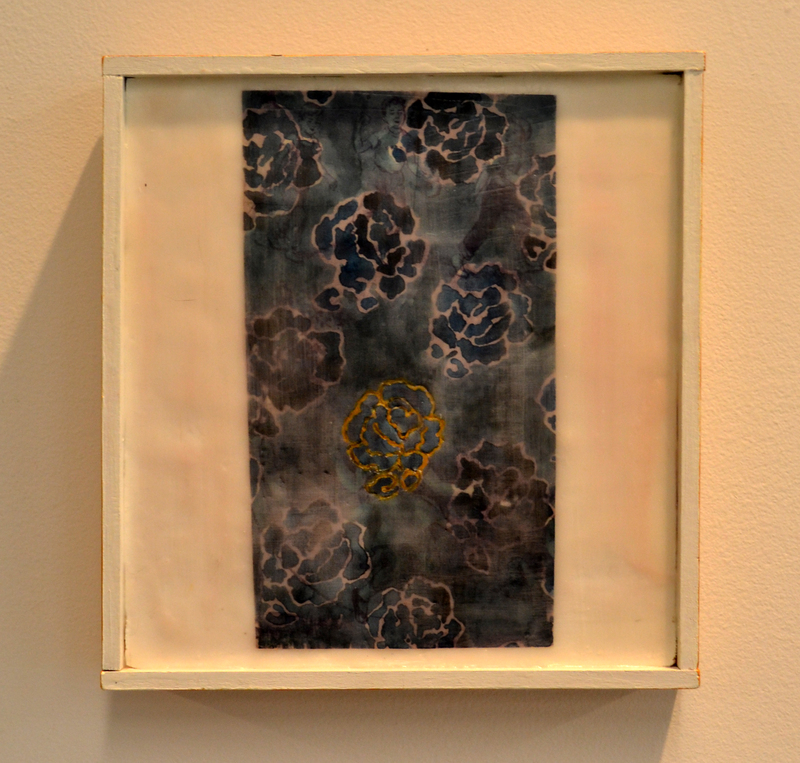 ‘Cross My Heart and Hope to Die,’ Cat Lynch, watercolor and encaustic on found image, 2012. Also, I’ve been playing around with the appearance/layout of my blog. Feedback welcome!